Contemporary-style homes for sale in Austin can be found in a range of shapes, sizes and colors. Find the latest contemporary-style Austin home listings today! At Berkshire Hathaway HomeServices, we can guide you through the process of buying or building a contemporary-style home. As a team of local experts we know understand the market, know about current current listings and may even have word on upcoming homes for sale that will meet your search criteria. Read more about contemporary-style homes in Austin or see for yourself and browse through some of the most recently listed homes below. 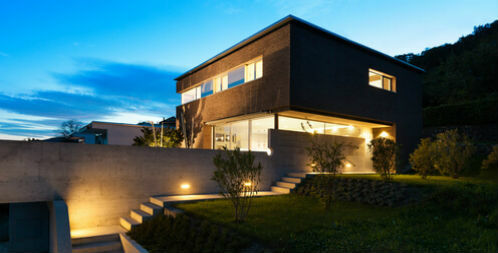 Contemporary-style homes for sale in Austin have a number of distinct exterior design elements. Flat or shed roof lines paired with floor to ceiling windows are often found among contemporary homes. These properties have minimum embellishments to allow for clean and simple lines. There's a lot of freedom when it comes to contemporary style floor plans and they generally include scenic outdoor living space. Inside contemporary-style Austin homes, there's plenty of natural light from the distinctly large windows. Inside, you'll find large open spaces that are basic, bold and beautiful. 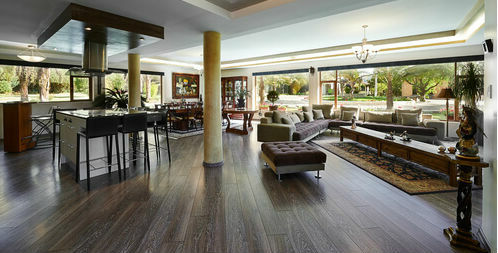 Wood or tile is the flooring of choice for these homes. There is plenty of space in these homes to take advantage of structural elements. Unique features such as high ceilings, textural bricks, and exposed plumping add character and charm. Questions About Contemporary-style Home Builders or Current Listings?